Aural Innovations is a site that promotes, promulgates, explores, analyzes and showcases music that would see nary a spin on commercial radio. Like its college or community counterparts, AI showcases not necessarily slick, overproduced ‘alternative’ bands, but rather those on the vanguard — taking risks, sometimes noisy, sometimes inpenetrable lyrically. Usually young, but not necessarily so. Many acts have been influenced by some of the more esoteric experiments in avant-noise: Can, Amon Düül II, Ash Ra Temple, or on this side of the pond: The Velvet Underground, Captain Beefheart, Frank Zappa. King Crimson. And the more mainstream prog acts: Yes, Genesis, EARLY Pink Floyd (a la Syd Barrett). With a plethora of new bands taking up the reins, it is doubly disappointing that Tantalus’s Short Stories disk retreads so much well-covered ground. As the promo sheet announces: "symphonic and progressive rock interwoven with many stylistic crossovers. There is also a generous peppering of blues..." The problem is that most of the material echoes stylistically Yes around the time 90215 was released: a processed, clean feel, with jazzy flourishes. There is a New Age feel to the keyboards, particularly in "23 Enigma". "Shot Down In Flames" opens with a John Mclaughlin-esque blues intro, with Rupert Willder’s vocals introduced into the mix. It features some funky keyboard and base work; both "Light From The Dark" and "Moondance" borrow heavily from Tony Kaye’s keyboard work on ‘90215', although the former has a nice harmonic intro. Plans accelerates the time signature, and lead vocalist Willder delivers in a smokey lounge style. "City Of Dreaming Spires" adds a taste of gospel; "Wherever You Turn" is mid-80's Yes prog lite; "Toccata & Fugue in D Minor" is reminiscent in spirit to Rick Wakeman’s arrangement of "Cans and Brahms", yet definitely rocks more than the former. "Toccata" is in fact the best thing on this disk, yet suffers from a kind of rhythmic depression — the drumming style is leaden, and seems to weigh down and subvert what would be interesting time shifts in this composition. 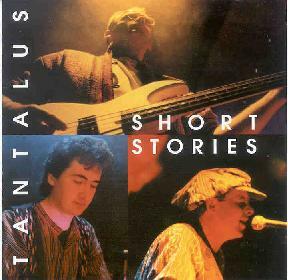 TANTALUS is concluded with "Can’t Say No", an interesting departure with Willder affecting a Jackson Brown delivery and drummer Tony Wells introducing a light bongo riff in the background. In Greek mythology, Tantalus was a mortal treated with god-like courtesy by the Olympians, only to squander their goodwill by acts both barbarous and foolhardy (fileting his son Pelops for a stew and sharing ambrosia with mortals). Tantalus was punished by having fruit and water being pushed tantalizingly close, then withdrawn as he reached for each. In a way, those who have never been exposed to the best in progressive rock in the 70's will be tantalized, but ultimately disappointed by this all-too-slick disk. Headline is part of the Hi-Note Music group. You can visit their web site at: http://www.hinotemusic.com. Contact via snail mail c/o Hi-Note Music; PO Box 26; Windsor; SL4 2YX; UK.